On the 20th January Prof. Dr. Costas and her Master class ‘Culture, Leadership and Diversity’ had the unique opportunity to visit Caterwings, a Rocket Internet Startup thatoffers a curated B2B marketplace for corporate clients and catering services providing highquality, on-demand food delivery. The managing director and co-founder, Stephan Grund gave a presentation about the business model and company culture of Caterwings, which was founded at the end of 2015 and since then developed into Rocket’s fastest growing startup. We learned what it means to manage a team consisting of 45 employees with 16 different nationalities and how to establish an autonomous management style within a startup that is still dependent on its investors. 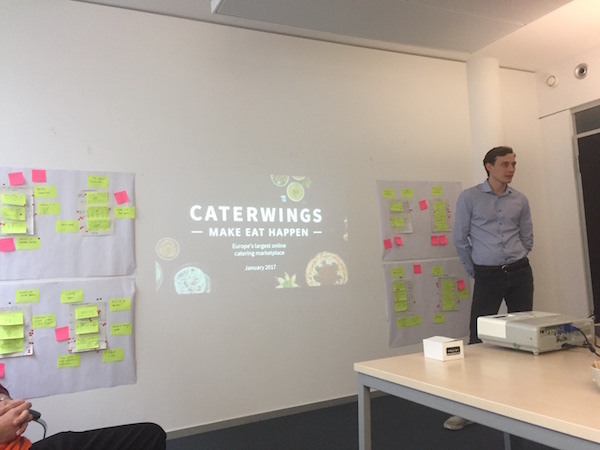 Stefan, who is only 28 years old, also revealed how his personal consultancy background influences his leadership style, his way of solving daily problems and the general working mentality at Caterwings. In the subsequent Q&A session the students wanted to learn more about the startup spirit and what benefits the company provides to their employees apart from food based perks and steep learning curves. A second field visit took place on the 27th January at Wayfair, an American e-commerce company that is headquartered in Boston and sells home furnishing and décor. 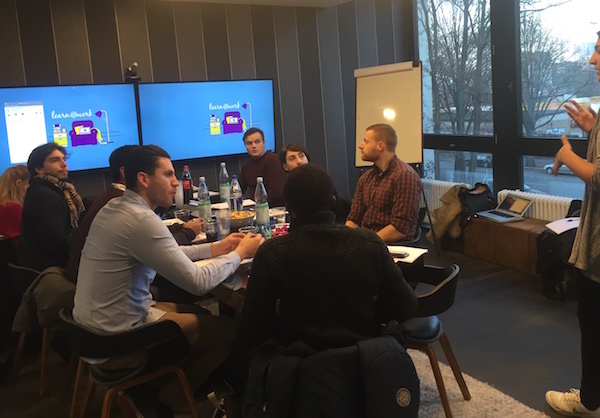 We were invited to Wayfair’s Berlin office, where the senior recruiting manager Jess Delahunt gave a presentation about the unique drop-shipping business model, the corporate structure, the culture of Wayfair, which reportedly started its operations in 2002 from the garage of the two founders Niraj Shah and Steve Conine. Nowadays, the company employs more than 4500 people with international offices located in Boston, Galway, London and Berlin. Apart from the typical entrepreneurial founding story of Wayfair, we learned about their efforts to enforce a culture that emphasizes the fun aspects of work and transparent communication across all hierarchy levels. We could see for ourselves that Wayfair’s office space had no separating walls indicating different professional levels. Jess also told us about several employee benefits, such as yoga classes, the coffee bar, a wellness room or their weekly ‘lucky lunches’, where randomly grouped team members have lunch together. After the presentation, the students were invited to stay for a networking session with other members of the recruiting team and an office tour. We greatly thank Caterwings and Wayfair for welcoming us and providing interesting insights into their company, their culture, leadership and generally their office life!